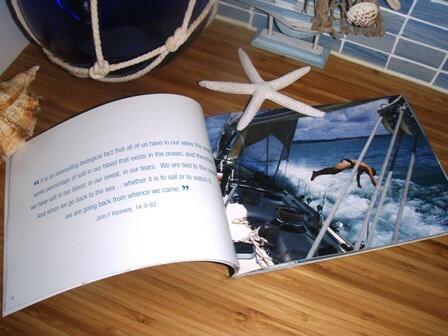 Dare to Dream is a gift book with 96 pages of inspirational sea quotes accompanied by 51 world class images! It takes you on a journey of dreaming, visualizing, setting your goals and living your dream! 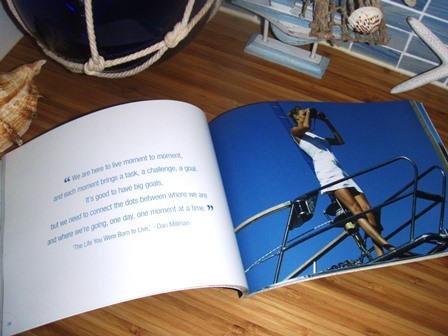 A fantastic and unique gift, an interesting book for your coffee table at home or the cabin on your yacht. "Dare to Dream is a wonderful collection of quotes we all know and love and often are looking for! 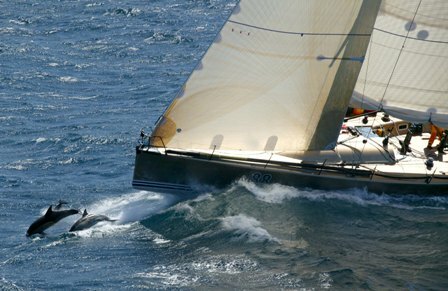 Marrying them up with magnificent photographs of some of the world’s most famous yachts ... and some not so well known ... is a must have. - Mackay, Far North Queensland. 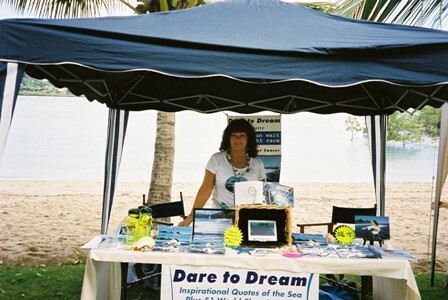 I had a market stall at Airlie Beach, Queensland, Australia. That's me in the picture below! An awesome position under the tropical palm trees on the beach with a back drop of yachts on azure seas and the amazing Whitsunday Islands. 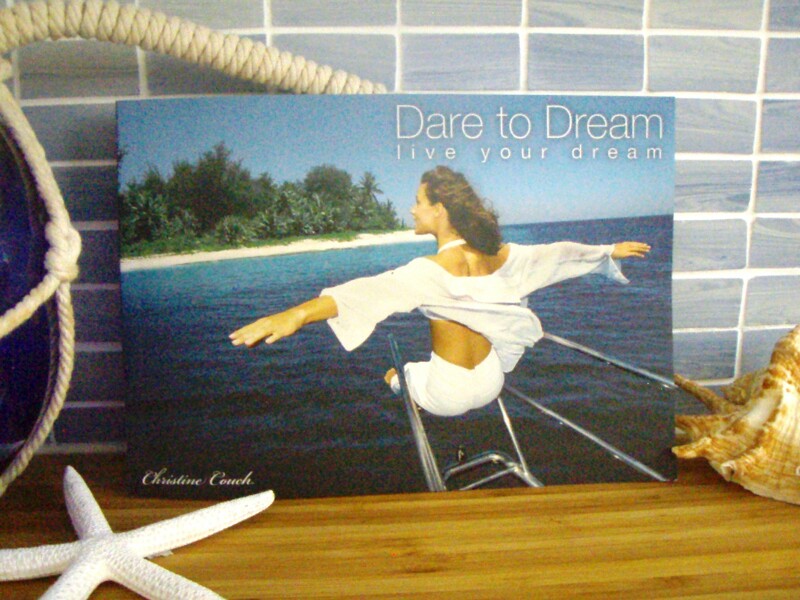 Dare to Dream sold like hot cakes ... there would hardly be a home in the region without one and it was extremely popular with backpackers who sent it to their families all over the world. Over the Christmas break I sold over 500 ... sometimes multiple copies to one person. I know for a fact that Dare to Dream has found it's way as gifts to India, England, Germany, Switzerland, Canada, USA, New Zealand and I'm sure many other places I am not aware of. It has turned up in amazing places ... for example Ali was on an off shore voyage to Vanuatu in an ill equipped yacht, that ended up motoring most the way ... running out of fuel 100’s of nautical miles from land they sent out a radio call for help. She tried to keep the upset crew in good spirits by reading positive quotes from Dare to Dream. When the skipper of the rescue yacht who responded to the call for help came aboard he said ... “I’ve got that book and I know the author!” Wow!! I came across it in a ‘super yacht’ at Abel Point Marina ... Worth over $30M, and many other bulkhead shelves in yachts in scattered marinas and anchorages. 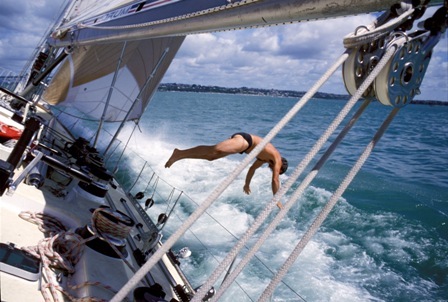 "Sailors and all who crave adventure are a unique breed, they know that a marina is the gateway to the world, a yacht a holiday home at any exotic landfall. The wind and the power of your dreams can blow you to wherever your heart desires, so set your goals, set your sails and live your dream!" 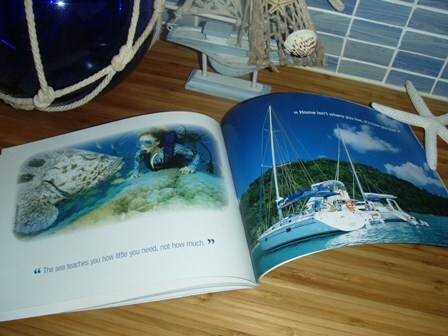 If you want to see more great examples of quotes and images that are in this book have a look at my web site on sea quotes, the images are from some of the best photographers known to sailing and travel ( like Getty Images, KOS Picture Source and Tourism Queensland); each one is accompanied by words to inspire. 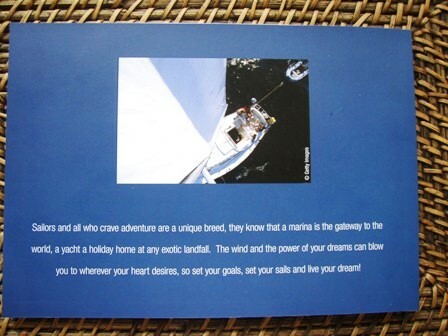 This book is not just for sailors but for every one who loves a positive outlook for the day. 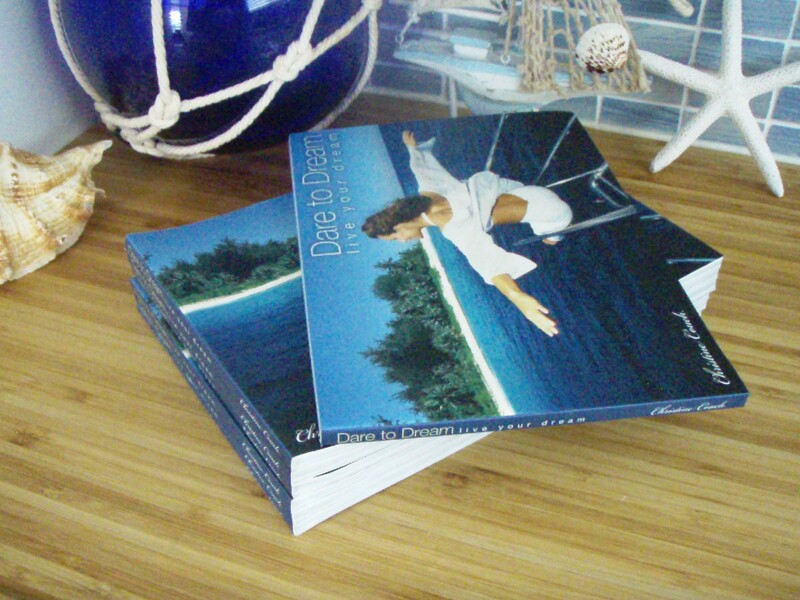 It could be on your coffee table at home ... or a gift to a friend ... this is your opportunity! Make sure you have YOUR very own copy with a FREE gift card for friends by clicking on the link below right NOW! $12.00A each plus $4.00A postage for international with PayPal the safe way or your choice of credit card! Would you like to see some of the amazing Dare to Dream images like the ones on this page and the inspirational quotes that accompany them? Check them out!